Pollen, dust, mold and pet dander are usual allergy causes identified in many homes. Eradicating these harmful substances from the air will help eliminate the source of your allergies. 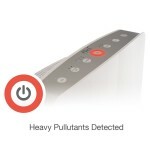 The ideal air purifiers for dust and allergies are those with HEPA filters. A true HEPA filter is the most effective of the solid-state filters, capturing the greatest percentage of airborne allergy-causing particles. See what other customers have to say about the Alen BreatheSmart. 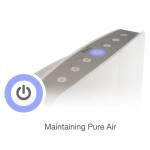 Alen BreatheSmart HEPA Air Purifier combines two layers of filter technology to purify and freshen the air in your home. Polluted air passes via of Alen’s washable Pre-Filter, to trap large particles and micro-organism . In the second layer, the air moves through a unique electrostatically charged HEPA screen. 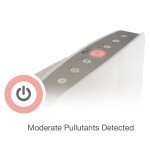 It pulls and captures pet dander, dust, pollen, mold spores and airborne pollutants. BreatheSmart is developed for a large and open concept rooms. It is the complete solution for improving air quality in the home. With a wide variety of colors, personalizable filtration systems, intuitive sensors, quiet operation and Best-In-Class efficiency – Alen air purifiers are the preferred choice buyers. This machine is both powerful and works silently, giving up to 1,100 square feet of coverage. The BreatheSmart is designed to efficiently purify your air in sizable and open living rooms. In a large open-space of 1,100 sq. ft. this system will leave you with fresh and unpolluted air in less than 2 hours. SmartSensor technology monitors air quality, so you don’t have to. It has an intelligent sensors that adjust its settings to suit the quality of air in the room. So you can achieve the best air quality.It makes a very good choice for large bedrooms as well as open-plan sections of your home. The SmartSensors are effective at extending the filter’s lifespan, while at the same time saving energy and money. A convenient “lights-off” mode and whisper quiet fan will ensure you get a peaceful night’s sleep.